For the size of the Encore, the ride is surprisingly Buick-like. The brand built itself by building comfortable sedans. This little subcompact crossover is about the size of a Volkswagen Beetle but packs four doors, a beautiful cabin, and enough room for four adults who don’t mind physical intimacy. It is beginning to outsell the Enclave, so someone somewhere wants this peppy premium SUV. If you’re not in a hurry to get anywhere and want a quiet, comfy little crossover equipped with the latest technology, the Encore may be for you. A properly optioned Encore can quickly cost close to thirty grand, a lot of money for not a lot of car. 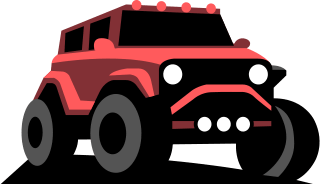 There are larger competitors that provide more space, better fuel economy, and much better driving dynamics for the same money. However, they may lack the refinement of this little Buick. The Encore is surprisingly quiet and comfortable for its size, making it totally unique in the subcompact segment. Furthermore, perfect crash test ratings make the Encore the safest, smallest SUV on the market. If that is the combination you’re looking for, the Encore provides excellent value. The Encore may just be the slowest SUV on the market. If you’re looking for performance, look elsewhere. However, Buick’s emphasis on ride quality and comfort is on display, even in sub-compact form. The Encore smoothly handles even the most neglected roads. We think the tradeoff is worthwhile for someone who prioritizes solace in their daily commute. If you spend a lot of time in traffic, where acceleration statistics are irrelevant, the Buick provides an excellent experience. Conversations will never be interrupted by outside noise. It’s not just our opinion, it’s one of Buick’s selling points. They’ve done a masterful job of providing a serene, pleasant cabin experience you might find in an S-class Mercedes in a subcompact SUV! We’re baffled and agree that this is the Encore’s greatest strength. It may not be a measure we traditionally apply to the performance category, but since it is Buick’s conscious compromise, we can’t penalize them for a lackluster road test result. How can we quantify ride quality on a spec sheet? We can’t. We do know that this Buick is slow, and that’s okay. If you’re looking for a rolling safe space that gets you from place to place, the Encore has everything you need. Buick’s interiors are so good that consumers asked for an Encore. After sitting in this cabin, we think Buick delivered. It is difficult to describe just how rare a comfortable and quiet cabin are in this segment. We can’t think of a single competitor who did it better. For 2017, Buick also revamped their IntelliLink system, making it easier than ever to use. The Buick now includes Apple Carplay and Android Auto free as a standard feature. A rearview camera and wifi hotspot are also welcome features you’d have to pay a premium for in most other SUVs. The soft touch leather dash definitely adds to the premium feel. Materials are high quality, but don’t expect a lot of room. Even two adults sitting in the front seats may rub elbows, in the back, it's inevitable. The middle seat is pointless unless there are three small children in the back. Cargo capacity is just 18.8 cubic feet with seats up and 48.4 cubic feet with the seats down. We realize this will probably be a personal vehicle rather than a family car, but we must mention that there isn’t much utility in the Encore’s SUV label. Like the Buick Enclave’s style but don’t want a giant SUV? The Encore is a scaled-down version that’s the size of a compact car yet retains the proportions of a larger SUV. With over 60,000 units sold the last few years, the market clearly likes this formula. We must admit, we didn’t like it at first. The more we look at it, the more this pocket-sized ute grows on us. The 2017 facelift drastically improves the curb appeal. The LED headlights are a nice touch. The front and sides look more upscale than the Chevy Trax, essentially the same SUV with different interior and exterior styling. From the rear, the two are indistinguishable, except for different badging. Buick is happy to sell you a ton of different rack options to carry everything from your kayak to skis. 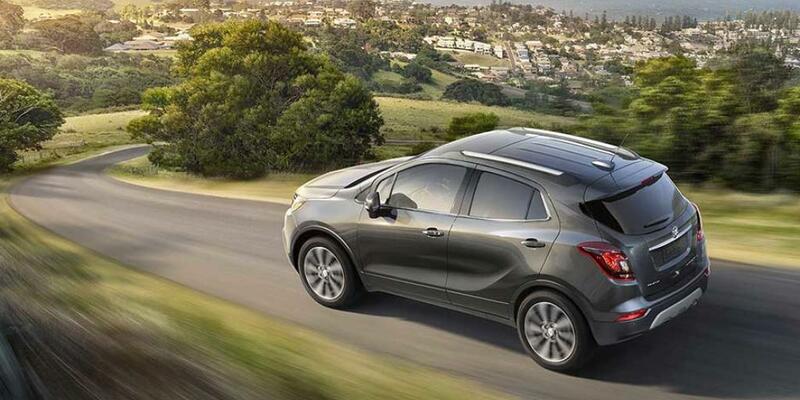 The Encore is one of Buick’s highest rated models in the reliability category. It receives a 4 out of 5 predicted reliability rating from both JD Power and Consumer Reports. These ratings indicate better than average reliability. Some Encores were affected by NHTSA recall of GM vehicles for faulty airbag sensors. Check the VIN to see if the model you’re looking at is affected. GM dealers will fix the problem with a simple software update at no cost to you. The Encore’s high reliability is quite uncommon for the segment and the Encore may just be the most reliable sub compact SUV on the market. In a segment where marginal and average crash test ratings abound, the Encore is something of an amalgam. The encore received top marks from IIHS and NHTSA crash tests, a feat virtually unheard of in subcompact vehicles. The Encore packs an impressive amount of airbags including full length side curtain airbags and front knee airbags. Additionally, a bunch of driver assistance features are available on the Encore, including adaptive cruise control, lane departure warning, and blind spot detection. These features combine to make the Encore a segment leader in safety. Obviously, for the money, there are more practical subcompact SUVs, like the Mazda CX-3 and Honda HR-V. Practicality probably wasn’t your priority when you decided to consider the Encore, as a result, we’ll offer some equally unique alternatives. First up, the Fiat 500x is an Italian compact crossover that packs a little more punch than the Encore. It is costly to equip with leather and many of the features the Encore has available, the price quickly reaches $30,000. It has a larger 2.4L engine in the higher trims that provides more power than either available engine in the encore. The large increase in power doesn’t really translate to a large increase in performance. The Fiat 500x is a bit dull to drive and the nine speed automatic is not near as smooth as the Encore’s six speed. The Fiat does handle a bit better, but not enough to justify the jarring ride quality. Expect to feel bumps and cracks that the Encore would handle with ease. Road noise is also a factor. There is a lot more in the 500x than the Encore. The last strike is the FIat’s reliability rating, it’s an abysmal 1 out of 5 from both Consumer Reports and JD Power. We’d definitely recommend purchasing the Encore over the Fiat 500x. The second challenger we think may interest you is the Mini Cooper Countryman. It’s comparably priced, fun, and has personality and style. The base Countryman, like the Encore, has an uninspiring engine. Although the Countryman’s 3 cylinder 1.5L turbocharged engine does provide a bit more torque, it feels underpowered when driving with an adult passenger. The handling is much better and the Mini is more fun to drive. However, the ride quality is not near as nice as the Encore. There is plenty of road and wind noise that isn’t present in the Encore’s meditative cabin. Upgrade to the Cooper Countryman S, and a 189 hp 2.0L turbocharged 4 cylinder engine improves the driving experience. Ticking a few boxes puts the price tag closer $40,000, which we don’t think is worthwhile. We think the Clubman may be a better choice for those who want something quirky, unique, and fun to drive. If you’re looking for the characteristics that define the Buick, namely a quiet and comfortable ride, the Encore is the clear winner in the category. The base Encore begins with an MSRP of $22,990. Standard features include cloth upholstery, a power adjustable driver seat, a wifi hotspot, a rearview camera, a six-speaker audio system, two USB ports, Bluetooth connectivity, a 4.2 inch information display in the instrument cluster, and an IntelliLink infotainment system with an 8-inch touchscreen with smartphone integration. This trim level does not offer all-wheel drive or the upgraded engine option. The Preferred trim opens at $24,365, contributing very little besides opening the door for more options, including AWD for $1,500. The Sport Touring trim level adds a pair of fog lamps and a remote start system, opening the door for even more options, including AWD and a bigger engine. These are available on all higher trim at $1,500 and $895, respectively. The Preferred II trim level starts at $26,895 and supplies little more besides blind spot monitoring and rear cross traffic detection. The Experience Buick Package becomes available at this trim level and higher. It includes navigation, a moonroof, and chrome rims, because what Buick would be complete without chrome rims? The Essence trim level adds heated leather front seats and steering wheel and upgraded LED lighting. The Premium trim level begins at $30,465 and introduces a forward collision alert system, a lane departure warning system, and an automatic parking system. Sorry, you still have to shell out the extra cash for the chrome rimmed Buick Experience package.